Temple Sinai member Kevin Abel carries a centrist message with his American dream. This is one of four profiles of Democrats running in the May 22 primary to win a chance to challenge Rep. Karen Handel for her 6th District congressional seat in November. See links to a campaign overview and the other three profiles below. Kevin Abel — who has an electrical engineering degree but never worked as an engineer, instead starting in technology consulting and eventually launching, running and in 2015 selling a tech company — said he always thought he would end up in the public sector in some form. He prepared for a second career in public service through involvement with community agencies, including the boards of New American Pathways, the Carter Center, the Davis Academy and the Metro Atlanta Chamber. 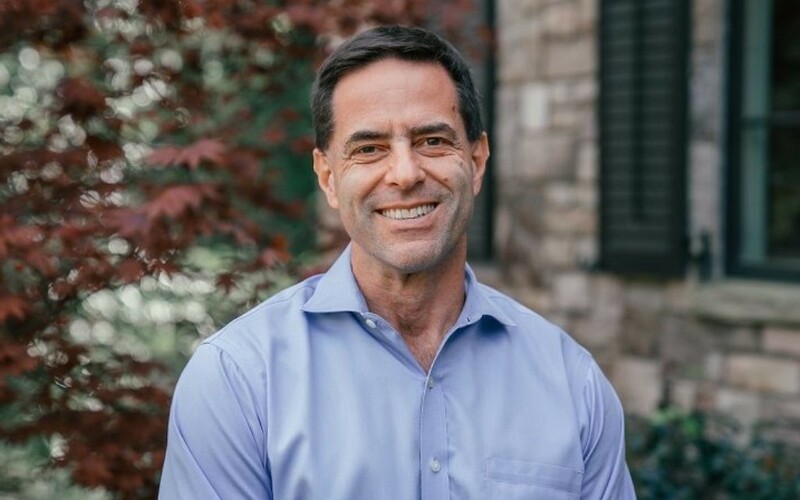 He has a passion for foreign policy and even took the Foreign Service exam for a possible State Department career after moving to Atlanta to be with his eventual wife, Cindy, in 1990. He made it through the tough written portion, but in his group of six who advanced to a daylong oral exam, none was hired. Personal stories motivate all four. It’s probably no surprise that he was the only one of the four Democrats in the congressional primary to issue a statement immediately after President Donald Trump announced the U.S. withdrawal from the Iran nuclear deal Tuesday, May 8. He was describing himself, and by late October he was committed to the race. While all four Democrats spoke of bipartisan measures and appealing to independents and Republicans unhappy with President Donald Trump, Abel has made his crossover appeal a core part of his campaign. He said national issues in the Trump era will be the keys in the election, although he said he doesn’t want to insult people who voted for the president. “When I win, there is going to be a collective gasp, from more than just my family, and we’re going to have an opportunity to articulate this message, this idea, that there is a better way for America,” Abel said. That better way includes new House leadership for Democrats and Republicans. Abel has the big picture in mind. He said most Americans hold views that put them between the 30-yard lines on a football field, while the Fox and MSNBC and the commentators they highlight prefer to play in the red zones (inside the 20-yard lines, at the political extremes). Abel hopes that over a few elections Americans will send 40 to 45 centrists to the House, and they will hold the key to any legislation. That common ground includes improvements to the Affordable Care Act, which was never going to be perfect from the start when overhauling 17 percent of a $20 trillion U.S. economy. The improved health care system would include the individual mandate, would expand Medicaid in all 50 states and would enable Medicare to negotiate drug prices. It also would make use of accountable care organizations, an approach to health care delivery that rewards providers for the quality of outcomes rather than the quantity of care. “This idea that private enterprise will take care of it is silly. It’s not working. It hasn’t worked,” he said, citing his firsthand knowledge as a business owner providing insurance to employees that costs were spiraling long before Obamacare. By comparison with health care, fixing the immigration system should be easy, starting with the 2013 comprehensive compromise bill that passed the Senate but never got a House vote. “No one’s happy when you negotiate a compromise, but as long as you don’t compromise your values, compromise is not a bad thing,” he said. As a representative of a successful immigrant story, albeit someone who was too young to understand the difficulties of the system when he arrived at age 14 in 1979, Abel has clear views on what an immigration overhaul should include, such as a path to citizenship for people who came here illegally and enhanced border enforcement and security technology. He also has a visceral dislike for the term “chain migration,” which he said take something that should be loving and wonderful, family reunification, and tries to make it ugly. “It makes me feel dirty as an American when I hear that,” Abel said. He doesn’t feel much better that the United States welcomed only 25,000 refugees in 2017 after President Barack Obama had raised the maximum to 100,000 from an annual average of about 70,000. The U.S. reduction came despite a worldwide refugee population at the highest level since World War II. “It’s just wrong. We are not fulfilling our responsibility. Not just our responsibility on the world stage, but our responsibility as Americans, who we are as Americans,” Abel said. Based on his experience at New American Pathways, a refugee resettlement agency, Abel said refugees get little government support. They must pay their own way here and receive a modest government stipend for only six months, by which time 93 percent of New American Pathways families are self-sufficient by working in poultry plants and warehouses — critical jobs no one else wants. He said refugees, particularly from Muslim-majority countries, are targets of the same sort of hate seen in rising public expressions of anti-Semitism. He is a strong supporter of Israel, where an uncle moved his family in 1974. He backs the move of the U.S. Embassy to Jerusalem and badly wants to see a two-state solution but doesn’t think the United States should set preconditions for negotiations.